You can’t simply ignore roofing problems. Given the role your roofing system plays in protecting your Lewes, DE home and boosting its overall curb appeal, any issue related to it will have to be addressed immediately and professionally. Here at Pro Exteriors, we make sure that all roofing works are done right the first time, giving you the absolute peace of mind you deserve. As the most trusted home improvement contractor in Lewes, DE and the surrounding communities for nearly 20 years, Pro Exteriors understand how important it is to maintain a healthy roofing system. However, we also understand that property problems don’t just end with your roofing, that’s why we offer a range of other services to ensure your home’s comprehensive protection. 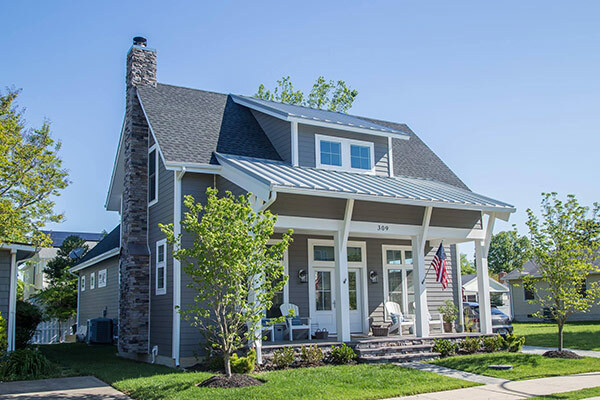 From siding and gutters to windows and doors, we cater to the unique needs of residential and commercial clients in Delaware’s and Maryland’s. One of the top reasons you should entrust your projects to our experts is the top-quality craftsmanship we offer honed in the years we’ve been in business. Thanks to our expertise, Pro Exteriors has been trusted by the industry’s leading brands, such as GAF, Velux, Andersen, and CertainTeed to offer their products. If these big names can trust our company, then you now you can place your trust on us as well. Since 1999, Pro Exteriors has worked with the aim of providing complete customer satisfaction in every job we handle. For us, no project is too big nor too small—we have the tools, skills, and expertise to complete them professionally. To learn more what we can do for you, call us at (302) 664-1700. You can also request a FREE estimate by filling out our Request Form.